The citrus R&D levy is now $3.20/t and the PHA biosecurity levy is now $0.30/t (a total of $1.50/t increase). Commercial citrus growers pay HIA an R&D levy of $3.20/t on all citrus and $0.75/t for marketing on oranges only. Commercial citrus growers pay the Plant Health Australia levy at a rate of $0.30 per tonne which is collected at the first point of sale (see below for further information on how levies are collected). 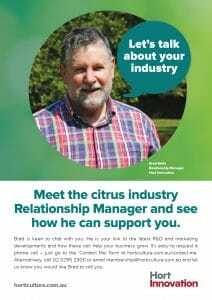 This levy contributes to a citrus biosecurity program and the membership of Plant Health Australia (PHA), who coordinates and develops initiatives at a national level. As PHA members include most major industries, the Australian Government and all state/territory governments, PHA provides plant industry with value by providing a unique, effective and coordinated means of contributing to policy making and direction setting on major plant health issues. The DAWR collects the levies and remits them to the appropriate services body (HIA or PHA). 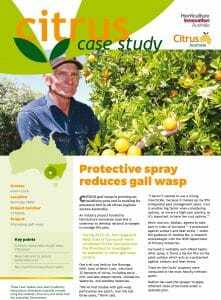 The citrus biosecurity, levy proposed by Citrus Australia, was approved by the citrus industry in September 2005. Initially to be set at zero ($0), the levy is to be activated in the event of an exotic outbreak to which an eradication response is considered appropriate. Plant Health Australia (PHA) has developed an Emergency Plant Pest Response Deed (EPPRD) which delegates responsibilities and activities in the event of an incursion. Under the EPPRD, the EPP levy will provide a funding mechanism to cover the citrus industry’s share of any exotic pest or disease eradication program, including reimbursement costs for citrus trees/crops destroyed. 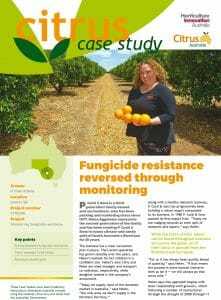 Click here for the Plant Health Australia website to find information on the Emergency Plant Pest Response Deed information.